Loving Photojojo's magnetic photo rope. 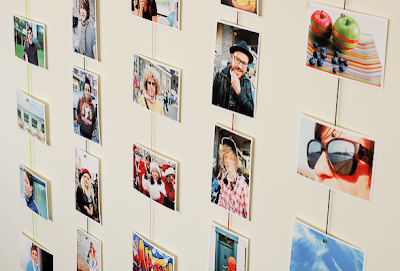 A clever and cool way to showcase your fave photos and art. The 58" cable comes with 8 magnets you can use to attach photos too. The bottom of the cable is weighted to keep it straight, and a loop of cable at the top lets you hang the rope from anywhere. The price is right, even cheaper then real frames! 0 Responses to "CUTE: Magnetic Photo Rope"